It is no secret that children’s rooms can be messy. However, creating space in your child’s bedroom is crucial so that they have room to play and relax in their own room. This is especially vital if you have more than one child who share a room as this will ensure that each child has enough space to themselves. 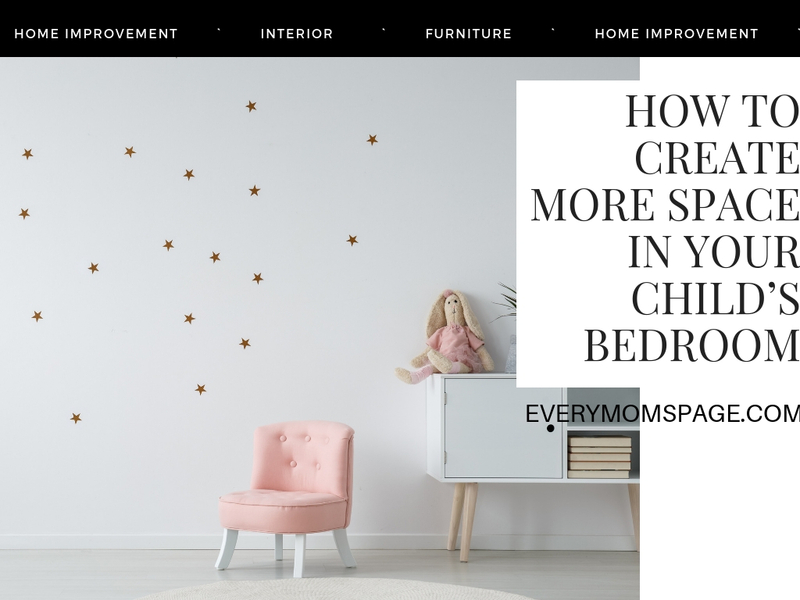 Although you may feel as if it will be impossible to create more space in your child’s room, these simple tips will ensure that you can maximize available space quickly and easily. Firstly, beds take up a lot of space in a room. This can leave you at a disadvantage when trying to fit in more necessary furniture such as wardrobes and still have space to work with. When considering maximizing space, you should think about investing in alternative sleeping arrangements, such as bunk beds. Other options include built-in furniture or convertible beds. These can often be fun and even desirable for children and can ensure that you have double the space to work with. Anima Domus’s range of Clei furniture include pull-out and sofa beds to ensure that your room can cater for your children - and guests - while also providing a comfortable experience for the kids. Simply pack away the beds in the morning to turn the bedroom into a play area. How you choose to store your child’s possessions is incredibly important in terms of space. The best storage methods maximize the space that you already have and ensure that your rooms look uncluttered and spacious at all times. The best storage methods for a child’s room include easily accessible storage units, such as vertical wall pockets or storage bins. These can serve as fun and funky alternatives to traditional storage. Their appeal may also be due to the popularity of telling children that these wall pockets are their teddy bear’s ‘bedrooms’, ensuring that all soft toys are packed away by the end of the day. The layout of your furniture can drastically affect the space available in your child’s room. You should opt for a simplistic and traditional layout that can ensure that your room looks uncluttered and welcoming. You may also want to consider simple life-hacks such as removing wardrobes doors or utilizing the available space by using built-in furniture or making use of crooks and corners. You should also consider your child’s needs, and ensure that all areas of your room are accessible to your child. By having lower clothing rods and easily reachable storage containers, it will be easier for children to tidy their room for themselves. Although this may sound obvious, child-friendly furniture tends to be much smaller than their adult equivalents and so are perfect for those looking to save space. Children will not need large desks or heavy furniture, and so choosing child-friendly equivalents will ensure that the room caters for your child while also being as spacious as possible.